where you will find the liturgical works of many Ukrainian masters. 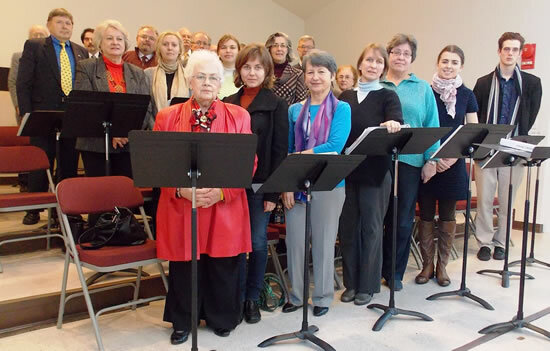 The Church Choir sings choral liturgies in both Ukrainian and in English. Now is the perfect time to join as we prepare for the new Fall season. We are learning a number of new liturgical pieces this year. If you've ever thought about singing in a choir, or just admired one from afar, come to a rehearsal, or just come up to the loft and give us a whirl! There are no auditions, and all are always welcome. 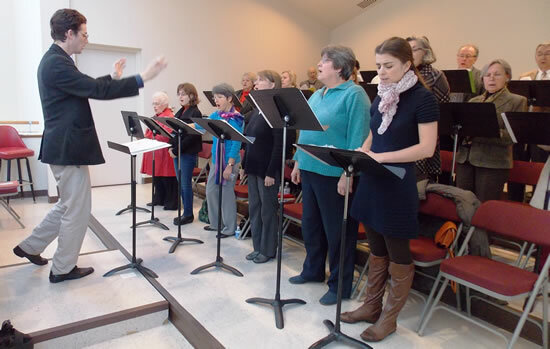 Rehearsals are held Sundays between liturgies at approximately 10:15 AM. 24 Sep Hierarchical Divine Liturgy in Cathedral of the Immaculate Conception, Philadelphia - bus departs HF at 11:00 a.m. DL at 3:00 p.m. This Litany of Fervent Supplication (mp3) was composed by Alexander Koshetz (1875 - 1944), composer and the conductor of the Ukrainian Republic Capella. His Capella's tours of the west had been phenomenally successful. It was on these international tours in the 1920's that Koshetz introduced the world to Mykola Leontovych's Shchedryk - now known to many as Carol of the Bells. While on tour he and his choir were stranded in exile with the fall of the Ukrainian government - and so he spent the rest of his life in New York City and Winnipeg, his petitions to visit his homeland denied by the Soviets. These co-directors and conductors continue the Holy Family choral tradition established by Josaphat Pachowsky & Matthew Berko in the 1950's. The choir has been singing ever since - often regular Sunday services, though over some periods of time convening only for the high holidays. 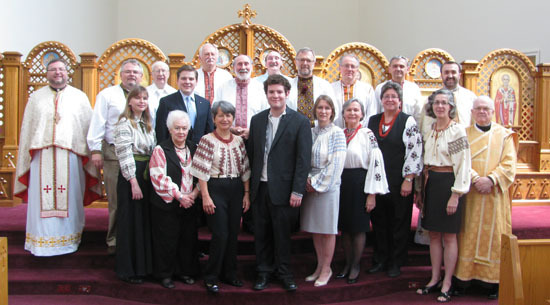 The choir owes a debt of gratitude to all who at various times led the choir, whose legacy the choir continues to uphold: Josaphat Pachowsky, Matthew Berko, Petro Oryshkewych, Zenon Nizankowsky, Eugene Gill, Mykola Kormeluk, Lubomyr Kormeluk, Lesia Bihun, Roman Serbyn, Volodymyr Rogalsky, Yaromyr Oryshkevych. Співаємо на славу Бога! We sing for the glory of the Lord!